Innocenti - I Say Ding Dong Shop - Buy Stickers, Decals & Unique Automobilia. Innocenti Black on Silver Text Stickers. 3" or 4" Pair. 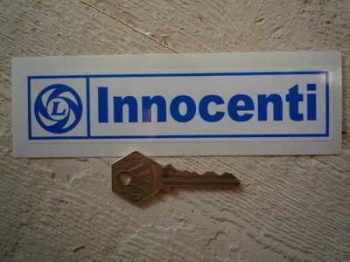 Innocenti British Leyland Sticker. 6". 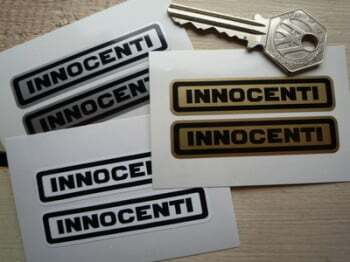 Innocenti Laser Cut Self Adhesive Scooter Badges. 3" Pair. 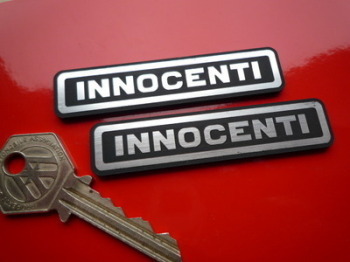 Innocenti Logo Style Laser Cut Magnet. 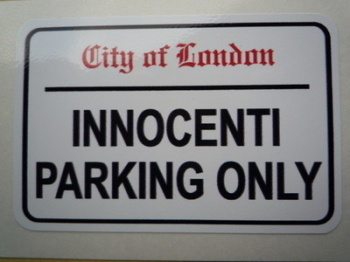 3"
Innocenti Parking Only. London Street Sign Style Sticker. 3", 6" or 12". Innocenti Silver on Black. Text Stickers. 6" Pair. 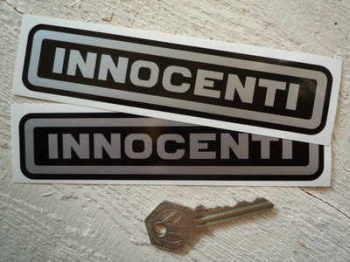 Innocenti Text Stickers. 63mm Pair. 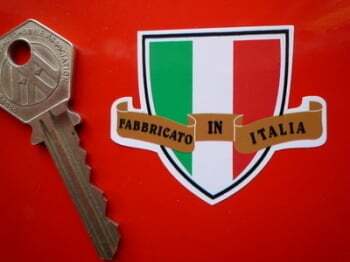 Lambretta Innocenti Motorcycle/Helmet Stickers. 3.5" Pair. Series II 2 Innocenti Script Style Laser Cut Self Adhesive Scooter Badge. 4.5". Supercortemaggiore Rear or Side Window Sticker. 6" or 10".